U.S. home values rose through the summer and fall months, and have now eclipsed peak home valuations, set in early-2007, non-adjusted for inflation. The Home Price Index, which is published by the Federal Housing Finance Agency (FHFA), shows U.S. property values up another 0.5 percent in October. It marks the 23rd consecutive month during which home values have climbed and, nationwide, valuations have increased 6.1% from a year ago. 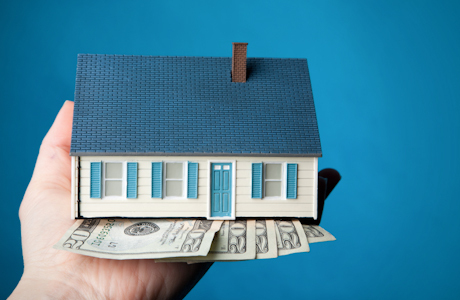 With home values up, existing homeowners are refinancing to take cash out, and others are using their newfound equity to cancel FHA mortgage insurance. The rise in home valuation is spurring U.S. home sales, too. As home values climb, some renters fear “missing out” on today’s market. Homes are expected to get more expensive in 2016 and current mortgage rates are expected to increase. This is creating an urgency to buy homes. Thankfully, there is an abundance of low- and no-down payment mortgages, including a new program available from most lenders called HomeReady™. HomeReady™ allows for just 3% down. It’s an excellent time to be a buyer. Mortgage rates are low, home values are projected to rise, and banks are approving more mortgage applications than during any period this decade. The FHFA Home Price Index is a product of the Federal Home Finance Agency (FHFA). It tracks changes in the value of a home between subsequent sales. Data is supplied via Fannie Mae and Freddie Mac as part of the mortgage approval process. The Home Price Index (HPI) is benchmarked to a value of 100, which is meant to represent the U.S. housing market, as it existed in 1991, the year in which the index was created. In October 2015, the Home Price Index climbed to 227.5, a 0.5 percent increase from the month prior and a 6.1% increase from the year-ago levels. It’s also the highest published reading of all-time on a non-adjusted basis, eclipsing last decade’s peak, which was set in April 2007. The rebound suggests that housing has made a “full recovery” from last decade’s downturn, but today’s active buyers already knew that. Homes have been selling more rapidly than in prior months and at higher prices. Bidding wars are common with aggressively priced homes. In many U.S. markets, it’s not usual to see homes sell above their initial list price. Additionally, the National Association of Home Builders (NAHB) reports an influx of buyer interest, which has foot traffic through model units at its highest point this decade. Because of these factors, home values are expected to rise in 2016. The good news is that mortgage rates are expected to stay cheap. Freddie Mac’s weekly mortgage rate data puts the average 30-year conventional fixed-rate mortgage near four percent; and rates for FHA and VA mortgage rates are quoted even lower. FHA mortgage rates typically run 12.5 basis points (0.125%) below rates for a comparable conventional loan, and VA mortgage rates typically out lower by 25 basis points (0.25%). VA home loans are available as part of the VA benefits package for active duty members and veterans of the Armed Services, National Guard, or the Reserves. FHA loans have no such restrictions. You can afford “more home” when mortgage rates are down. The FHFA Home Price Index is up 6.1% from one year ago, and now reads 227.5. This is the highest value for the Home Price Index in history, and completes the housing market’s recovery from last decade’s downturn. That’s national data, though. State-by-state, the story’s a little bit different. Not all areas are expanding at the same growth rate. What’s happening in Washington, for example, is not the same as what’s happening in Florida. The Home Price Index doesn’t address state-level activity in this manner. It does, however, group values by region. As compared to one year ago, the Mountain region is leading the nation, rising 8.9% from the year prior. New England, an area that includes Maine, New Hampshire, Vermont, Massachusetts, Rhode Island, and Connecticut, has changed +2.9 percent since twelve months ago and is the laggard nationwide. The West North Central, which includes Oklahoma, Arkansas, Texas, and Louisiana, rose +4.8%. Home values are rising sharply, but the cost of homeownership is not. This is because mortgage rates are low, and lenders are approving more loans than during any period this decade.